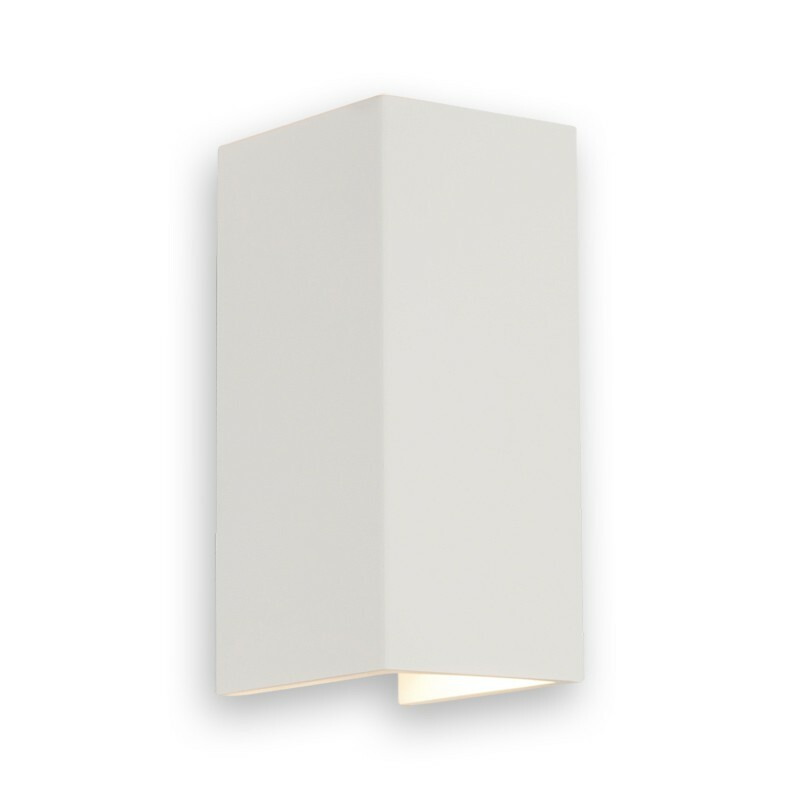 This interior wall light offers a simple rectangular design with a white plaster finish. This wall light is a remarkable and so simple, the¬†contour piece that has the ability to suit most modern living/dining rooms, hallways and bedrooms. The fixture uses 2 x 50w GU10 lamps to provide a strong luminescent glow from both the top and bottom. This feature is a Class 1, earthed interior wall light with an exterior that offers a customisable surface. For a practical solution to your lighting needs, this wall light will be an excellent purchase.